Hey guys, first a big hello to everyone on here as this is my first post. Super happy to be a new member of the Subaru family! I just picked up a brand brand new 2018 2.5 limited, and since the first day I got it I've been having problems with the windows fogging up. I live in Canada and now with the low temperatures this is happening VERY often and with extreme effects. I've tried everything, AC on, Fresh air recirculating, opened windows, defogger. Nothing seems to work 100%. 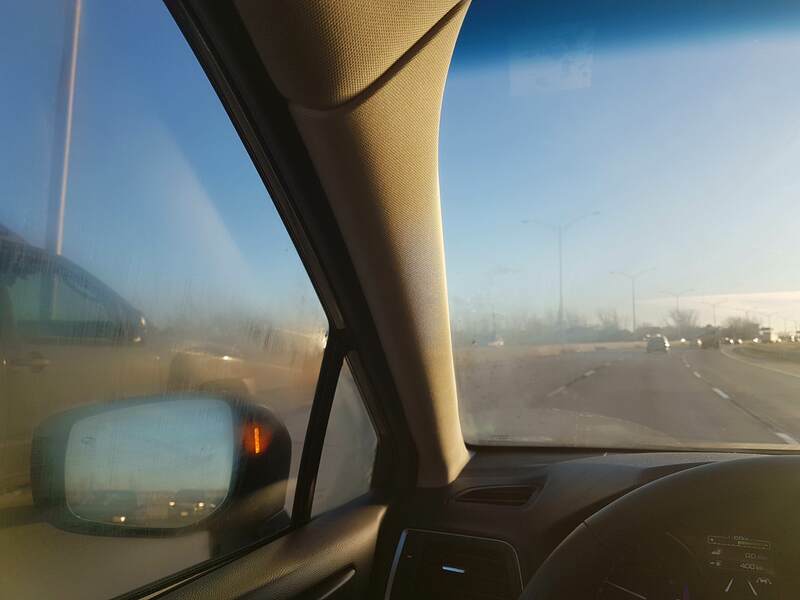 The front windshield and the driver and front passenger windows will get defogged after a while, however the back and rear passenger windows never end up getting defogged. I always run the AC because of this and the climate control is on windshield and feet most of the time. 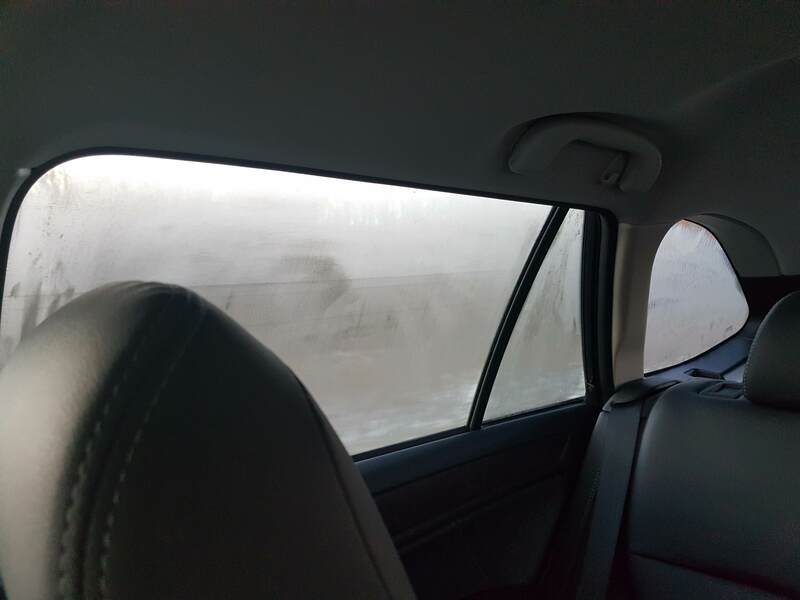 The strangest thing that has happened was driving normally on a highway and all of a sudden there might have been a slight drop in temperature, and the car (that was not fogged before) got instantly fogged up, all the windows at once. I've been to the dealer and they're saying there's no problem, the AC system works well, and no problems with the climate system. Do you guys have any suggestions on how to start troubleshooting this? I'm really out of ideas aside cleaning all the windows on the inside with some invisible glass. I live in Wisconsin and do not have this problem with my 08. However, the first time I owned a toyota, this happened. I quickly learned, like you, that running the AC in winter doesn't help much. After some trial and error, I figured out that the fresh air/recirc button must be on fresh air when air temps get colder. The colder air can't hold as much water vapor so heating it as it is brought inside helps to dry out the interior. If using the fresh air mode isn't working, then I suspect a problem with the fresh air damper not opening or the cabin exhaust vents being clogged (usually under the front seats of many cars). I'd insist that the dealer check this part of the ventilation system. With that said, I have experienced this problem maybe once or twice in heavy rain near freezing outdoor temps. This is probably the worst condition for foggy windows. I assume that you are not experiencing this type of weather so often. High humidity is removed from the car by the AC system (regardless of what temperature setting you have the climate control at). If you have fogging of the glass, either the AC compressor isn't turning on, there is a134a (used to be freon) leak and the AC isn't working even though the system says it is, you have a coolant leak into the cabin from the heater core (do you see sweet coolant? ), or the car has a massive water leak that has the carpets absolutely full of water. Keep in mind that even though there is cool/cold air coming out of the vents with the AC on, its winter and cool/cold air will come out of the vents if you have the temperature set low enough. What I mean, is if you feel cool air from the vents ... it doesn't mean that the AC made it cold. It may just be cool/cold outside air. Another thing to consider .. is your recirculating air switch on or off? Try it in both modes while driving. It just may be that there is so much moisture in the outside air that in off mode (air comes into the car from outside) a weak AC system can't remove all of the moisture to unfog the windows. Then again, with the air circulation switch turned on, the AC should totally strip the moisture from the car, as it only has to cool/dehumidify the air in the car, as no outside air can be drawn into the cabin. I hope this makes sense, because now I'm confused ... i think. Good Luck and keep us posted. Thanks for the replies guys. The air is always pulling in air from the outside, recirculating fogs up the whole car instantly. I've never experienced this with any of my previous cars, and any fogging was never this bad. Sometimes it's so bad that I get droplets condensing. I haven't see any coolant leaks. Maybe there's a a134a leak in the system, I wouldn't be able to tell myself. I would like to be able to check the cabin air exhaust vents though i think they're behind the rear bumper. And I don't have access to the front vents to see if the fresh/recirculating is working. I park in an indoor garage while at work which is kept at 20C, I will attempt to turn on the AC and see if it has enough cooling power. I'm going to make another appointment with the dealer and have them check everything out again on the ventilation system. If my dealer keeps saying there's no problem, I will go to a different dealership and have someone else take a look. You never specifically mention if the condensation is on the inside or outside of the windows. If outside, a minority of forum members have reported it for the '16 & '17 model years. I had the problem on my '16. When near the ocean and moist air the outside of the windows would flash-fog without warning and it was really hard to get rid of - the wipers were ineffective and the window would re-fog almost instantly as they passed over it. Time fixed the problem so we chalk it up to a coating on the glass from the factory. Perhaps a cleaning with some alcohol would accelerate the fix. If inside and the A/C unit isn't helping but the dealer confirms it' function then you have a moisture problem. Is there a leak in a window seal somewhere letting a bunch of water in? Car: 2017 2.5i Premium Crystal White Pearl with Ivory Cloth, with Eyesight and self dimming outside mirrors. Haven't had this problem since I no longer transport that REDHEAD! The condensation is always on the inside. I haven't seen any water leaking in from anywhere, but I will do my best to check all the seals and make sure water isn't coming in somehow. The only other thing I can think of is that whoever cleaned the car before delivering it dropped a bunch of water in the interior, but I did a meticulous check before taking ownership of the car so I doubt it's that. Very odd indeed. If the HVAC flaps are all working as expected, I'd really check under all the carpets for wet padding. Possible that the AC drain tube is draining inside the car instead of outside. Also the sun roof drains. What is the outside temperature being registered on the display? I believe if it's below 45*F that the AC compressor won't kick on at all, regardless of the button being on. I've been having this issue on my '05 and I can see that the AC compressor is not being turned on by the ECU until the car is warmed up. I couldn't see anything this morning. Electrical problems such as rear wiper not working, tailgate lock stop working properly, radio reception suddenly terrible or tail light/backup lights not working or fuses blowing? Check the tailgate wiring. This happens when the outside temp is below 33-34F, I was also thinking that it might be the AC not turning on... is there a way to find that out?